Deloitte has just released the results of its 2017 Health & Safety Leadership Survey for New Zealand, and the results are cautiously optimistic. The findings are drawn from interviews with 169 CEOs and managing directors, and they provide a useful snapshot of how New Zealand businesses implement health and safety. The surveys especially measured how well business leaders were able to “walk the talk” of health and safety–or in other words, to what extent they put planned initiatives into action. While the results in many key indicators deserve praise, it’s equally clear that other aspects of implementation have been more resistant to change. One thing that’s immediately obvious is that the main indicators of companies’ commitment to health and safety have visibly improved. However, there is definitely room for further growth, particularly in the areas of risk management, worker engagement and contractor management. Let’s break down the results and look at what these trends might mean for the longterm of health and safety policy in New Zealand businesses. Two foundations of health and safety have marked visible progress since last year’s survey: commitment from top leadership and planning for improvement. There is quite a bit of top-down initiative, as upper management leadership realises the need for efficient safety policies. Increasingly, health and safety is ranked as top business priority and higher-ups are becoming more directly involved in this process, which sets a standard for the rest of the company. These management commitments are not merely symbolic; in fact, 4 out of 5 respondents reported that health and safety performance improved in 2017 over past years. Management is also making the crucial link between health and safety and productivity, with more than half of participants associating an investment in health and safety with a boost in productivity. 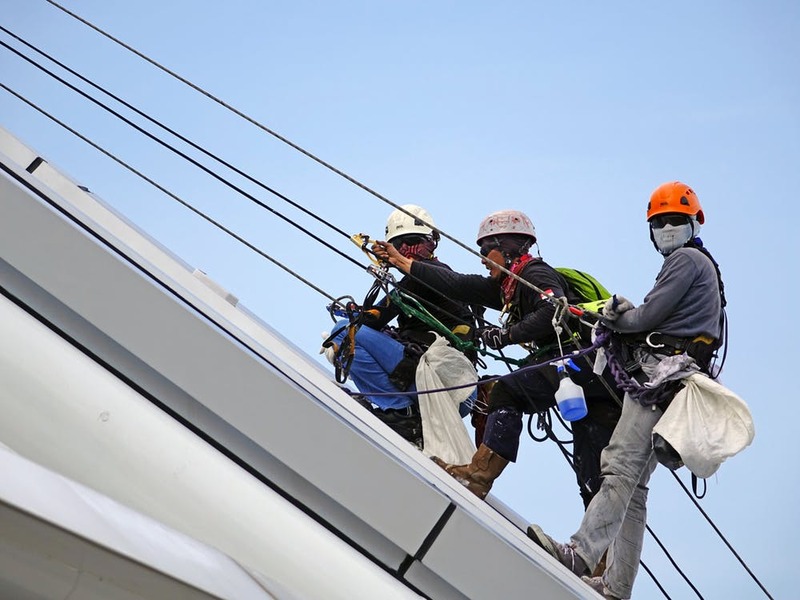 Health and safety is becoming a topic of regular reporting at board meetings, and roughly half of all organisations have board members who make a point to go on site visits. Overall, leaders have emphasized that there are more company-wide discussions about defining risk and avoiding risk than in previous years. Even if the implementation is spotty as of right now, it is encouraging to know that health and safety is on leadership’s radar. The business leaders indicated that one of their main stumbling blocks in improving overall health and safety was the entrenched company culture. From their point of view, low participation in health and safety initiatives corresponds to a low effort or desire to improve the health and safety culture. Despite the awareness of a problem, only a quarter of all CEOs report that they are actively running culture-change initiatives to combat this concern. One of the ways to encourage worker investment in health and safety programs is to improve leadership, essentially making it more accessible to employees. Unfortunately, only about one fifth of all CEOs consider these kinds of leadership innovations a priority. The survey also finds that communication concerns transcend the relationship between workers and supervisors. CEOs do not usually engage directly with key suppliers, meaning that leadership commitments do not always reach the supply chain. Due to this gap, a quarter of CEOs say that risks are not well articulated (thus not fully understood by employees). As many as one fifth are not clear on their managing roles and responsibilities. This may seem low, but it is surprisingly high considering the importance of the role. While it’s great news that reporting has generally increased, it’s alarming that this data has not been activated to produce useful analyses or recommendations. This unfortunately reduces the awareness and communication of risks that may be able to prevent further incidents. It is clear that changes in policy open up new areas for improvement which cannot be left to chance. There is a relatively low number of audits and internal assessments taking place. These procedures can contribute valuable data to close some of those gaps between reporting and implementation. Finally, all the leaders interviewed seemed to retain a maximal focus on safety while relegating health to secondary status. As we know, employee occupational health is tightly bound with the reduction of physical injury, and cannot be overlooked in this mix. These results should leave us encouraged about the prospects for improving health and safety in New Zealand businesses. Yet we should also be aware that the areas more resistant to change also happen to be critical to the whole enterprise and the gaps in coverage require serious attention. Administrative or legislative solutions can help articulate and direct some health and safety goals. One recent example is the Health and Safety Work Act, which aims to galvanize a culture change by recognizing worker participation as a top priority. Another way to strengthen the top-down side of these commitments is to include health and safety into an organisation’s strategic planning. Most of all, what these results indicate is that policies on health and safety need to be holistic, involving, and hands-on. As the survey recommends, now is not the time for complacency. Companies should focus on risk, relationships, and resources, as well as recognising the value of occupational health in addition to safety. Beyond articulating awareness, leaders need to demonstrate concern for employees’ health and safety by “walking the walk” from a formal investment in policy change to actionable change. The Deloitte 2017 Health and Safety Leadership Survey is based on a series of interviews conducted in the fourth quarter of 2016. The survey data can be downloaded here. For a paperless, jargon-free business safety solution that you can manage from your phone, click here to get in contact and ask about how you can try Donesafe for FREE or visit our features page to find out more.